Route. 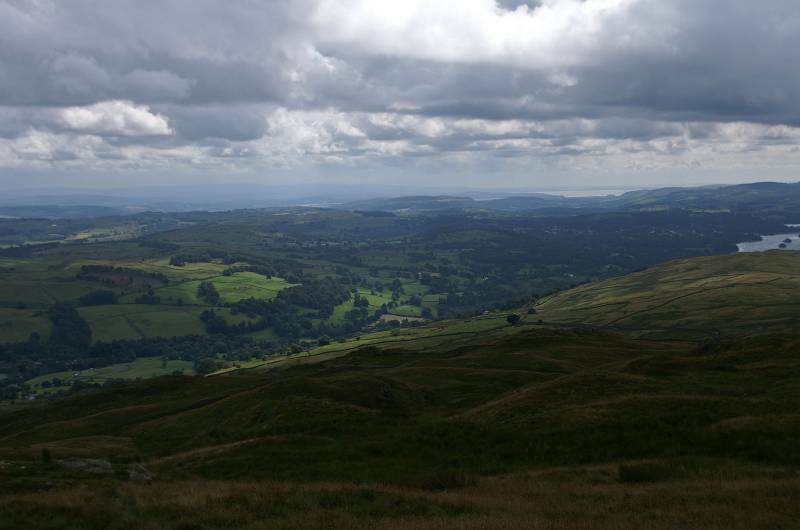 Ambleside - Stockghyll Force - Middle Grove - High Grove - The Struggle - Kirkstone Pass - Baystones - Wansfell Pike - Ambleside. Notes. 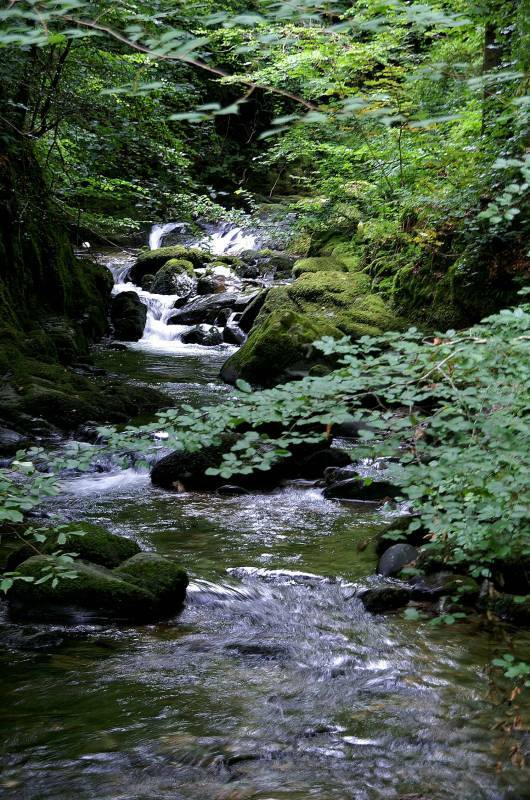 From Ambleside my ascent followed the banks of Stock Ghyll, entering Stockghyll Woods to visit the impressive cascade of Stockghyll Force. Leaving the woods via the revolving gate exit I followed the tarmac lane, the lane carried me through Low Grove then Middle Grove where the tarmac ends. I found myself between dry stone walls, striding out passing disused quarries before reaching the sad ruins of High Grove. 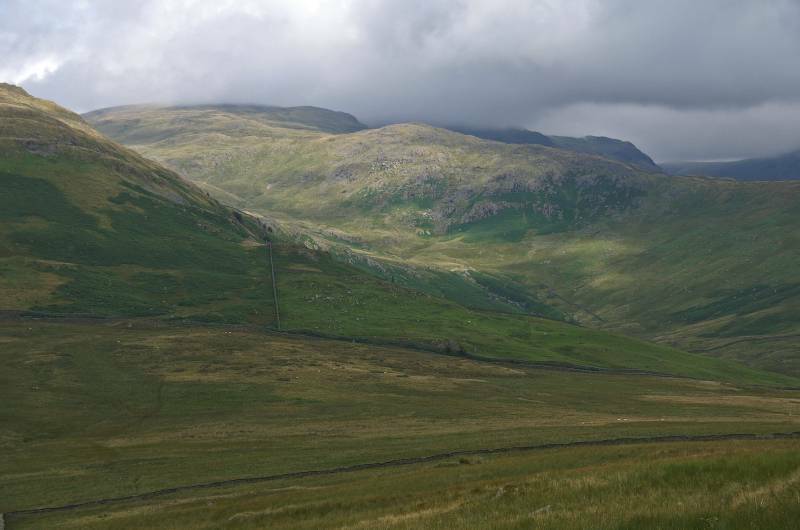 From High Grove it was a short walk to The Struggle one of Lakeland's infamous single track roads, the Kirkstone Pass Inn stared down on me daring me to enter it's hallowed bar, a quick pint before heading south over tarmac. 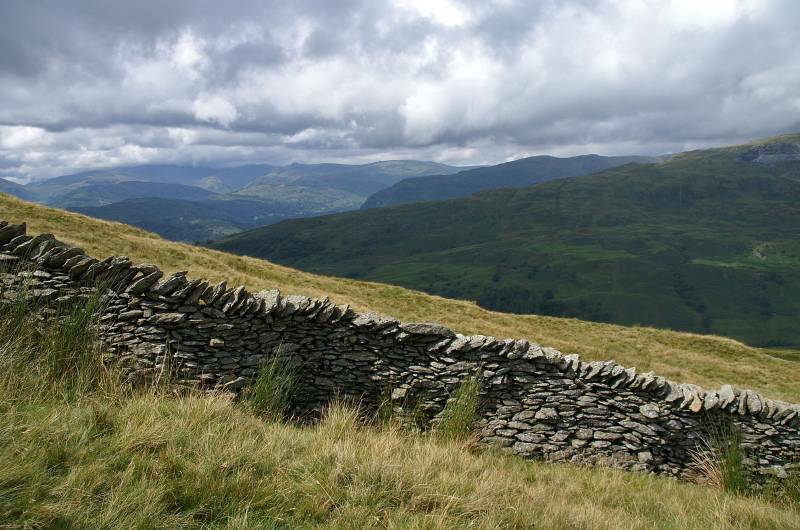 Just round the corner a stile allowed access to the boggy slopes of Idle Hill, I was now on the ridge linking Baystones and Wansfell Pike with spectacular views opening up with every step, all too soon the summit of Wansfell Pike marked the start of my descent, I soon found myself back in Ambleside with the crowds of Lakeland shoppers. The boulder filled ravine of Stock Ghyll seen from the footbridge below Stockghyll Force. 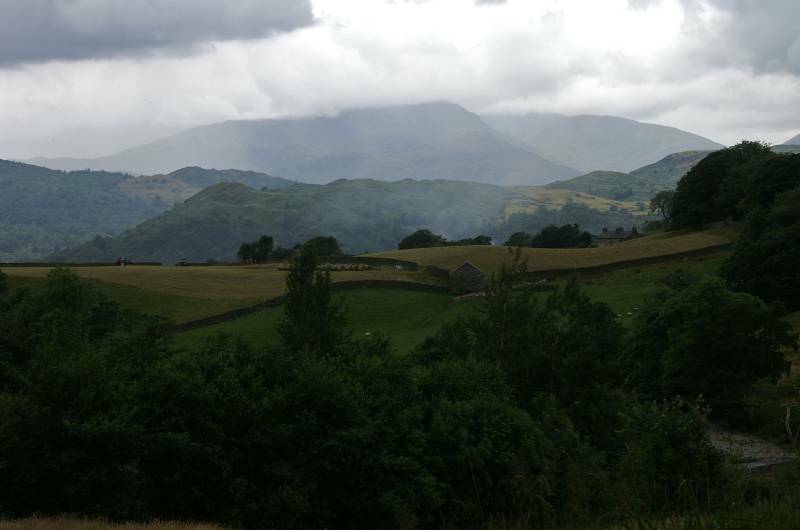 Under cloud Raven Crag and Red Screes. From the shelter of a mighty Oak views to the west. 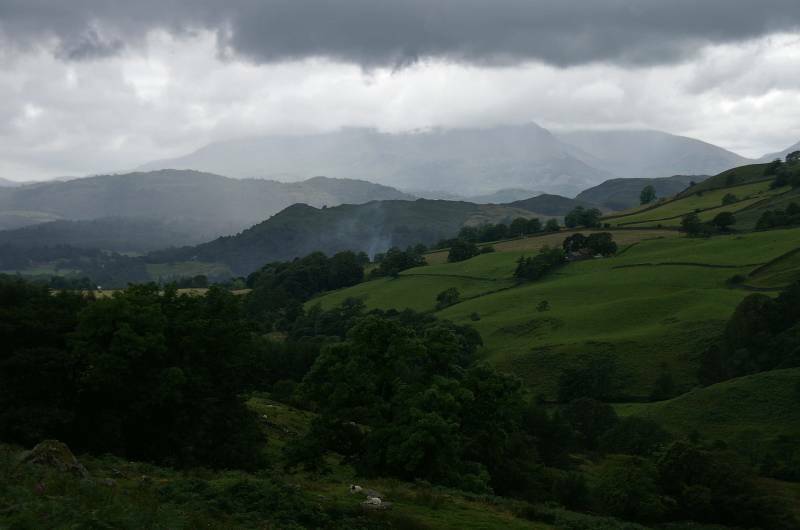 Wetherlam and the Coniston massif seen over Todd Crag. 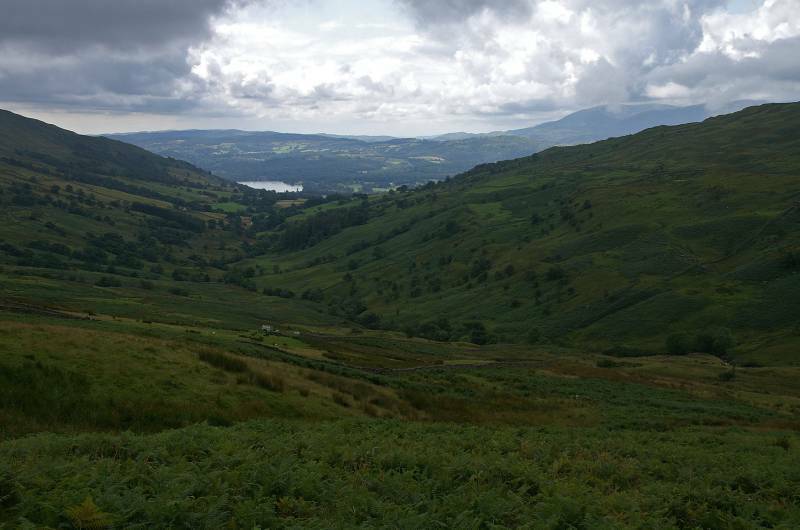 The same view from further up the path. 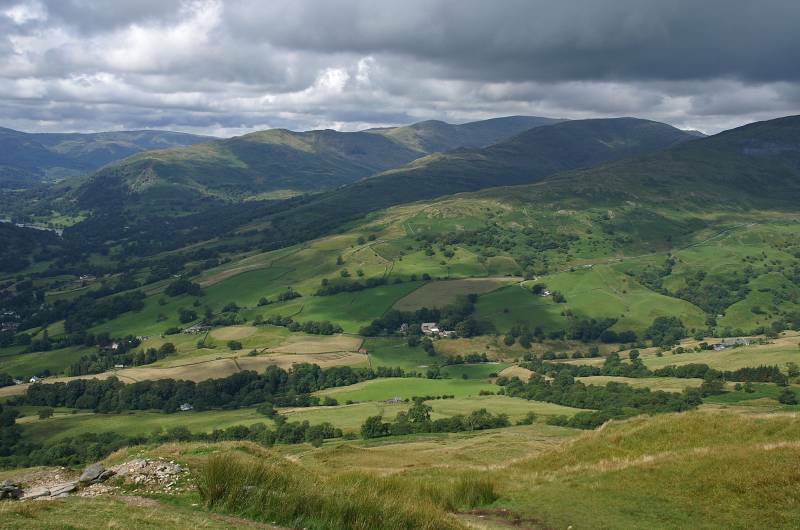 Looking to Wansfell Pike from the ascent of The Struggle. 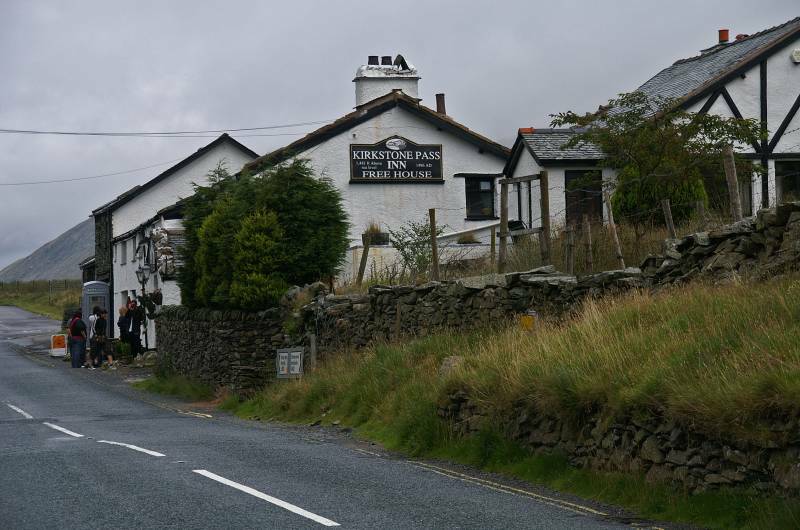 The Kirkstone Pass Inn, able to boast a long pedigree stretching back to the original inn built in 1496, at 1489ft above sea level it can also boast being the highest inn in the Lake District. 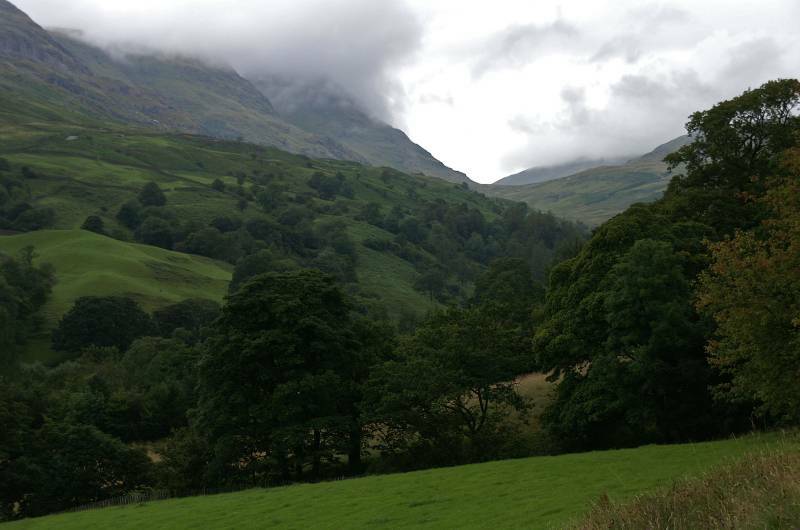 The Stunning view down the valley of Stock Ghyll. 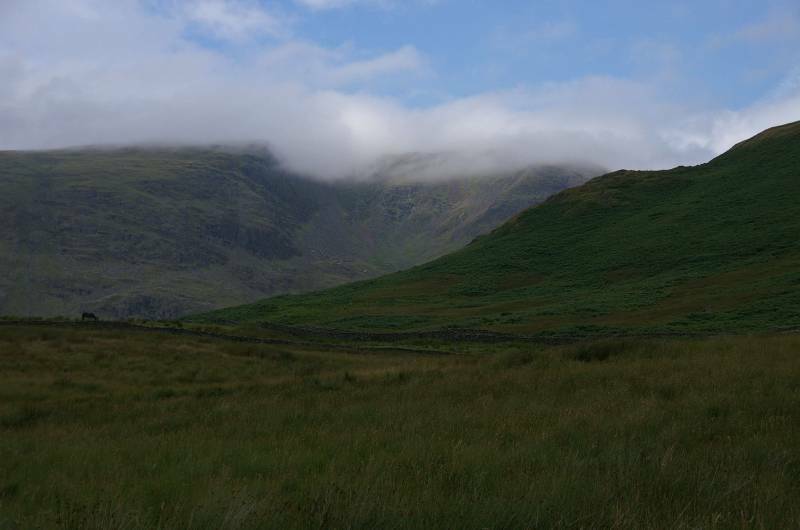 Under cloud Red Screes with a promise of better weather to come. Ascending Idle Hill with views to Broad End. 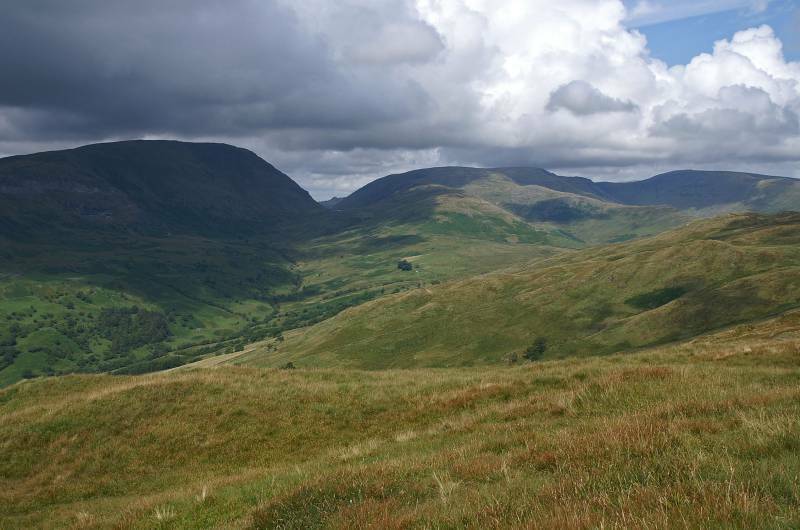 High Great Knott seen over the little known valley of Woundale. 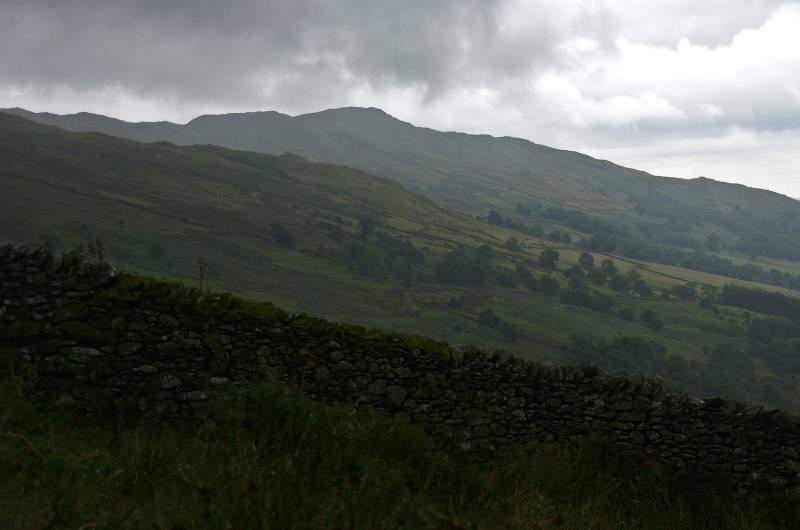 Heading up Baystones with views to the Langdale skyline. 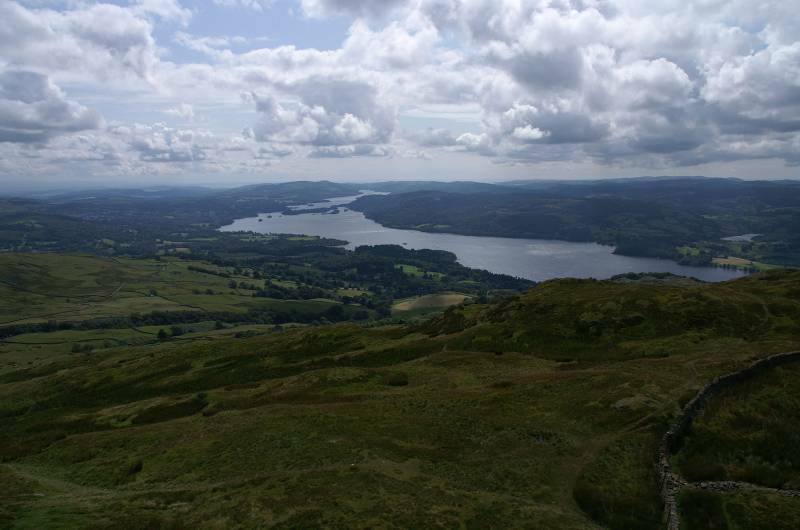 From the summit of Baystones a wonderful view down Windermere. 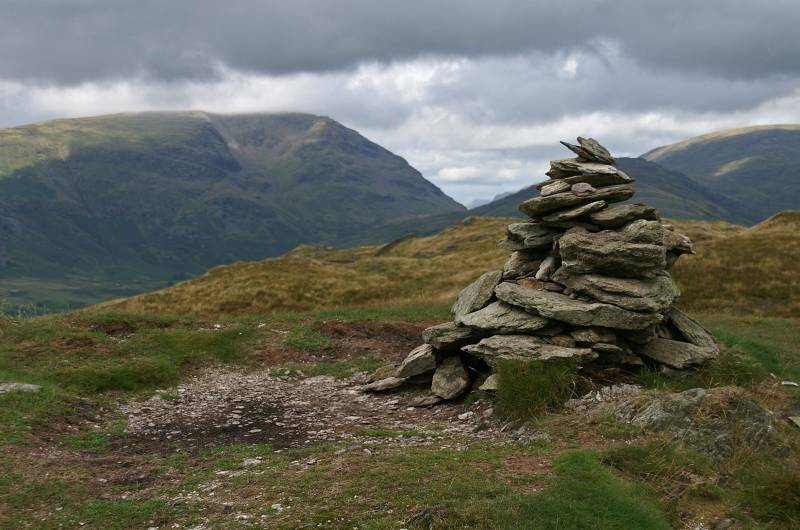 The summit cairn Baystones, with views to Kirkstone Pass. 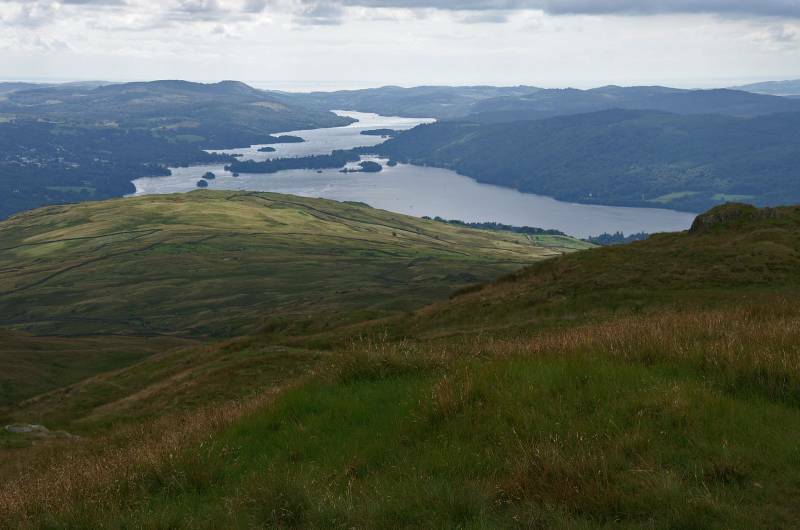 Nearing the summit of Wansfell with stunning views to the south. The endless view to Morecambe Bay on the Irish Sea Coast. 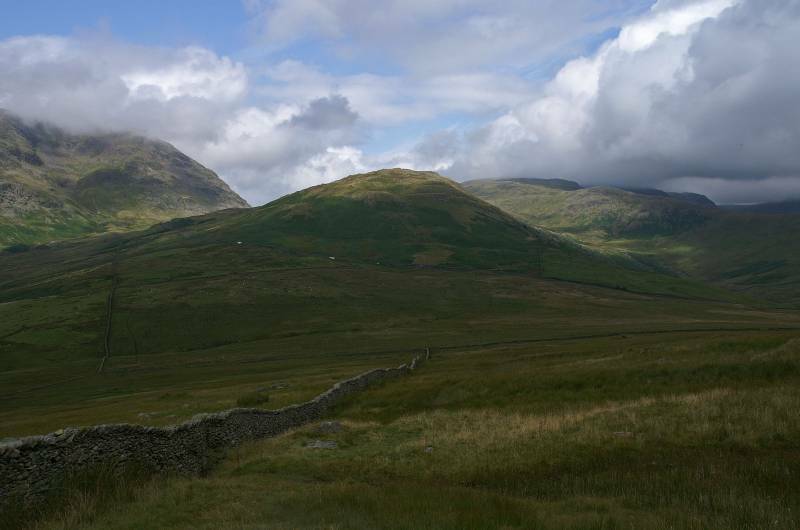 To the north Red Screes and Kirkstone Pass, free of cloud at last. 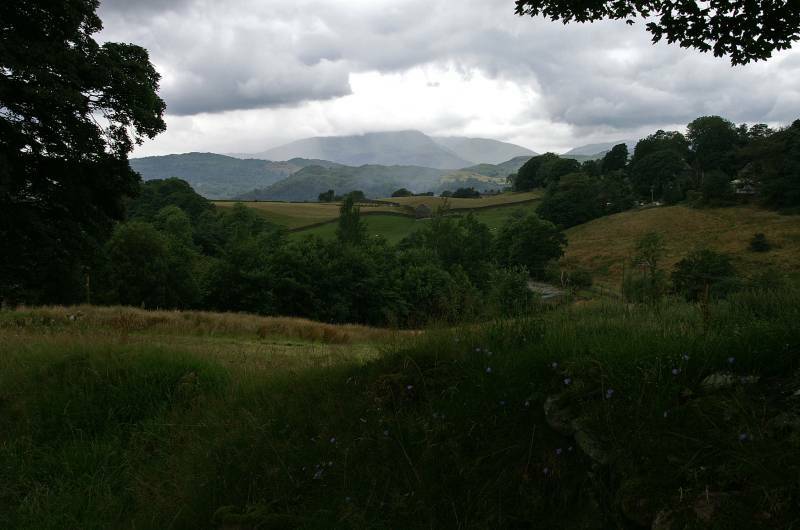 Seen over the valley of Stock Ghyll the arms of the Fairfield Horseshoe. 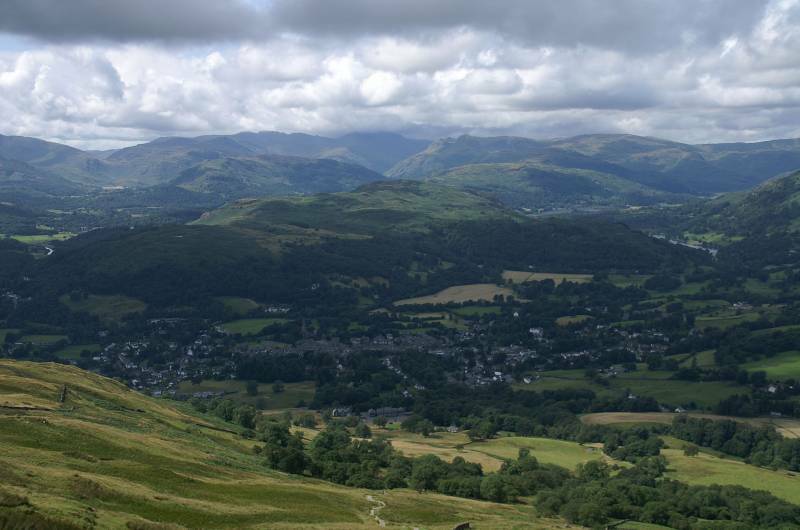 The Lakeland grey slate rooftops of Ambleside as seen from Wansfell Pike. 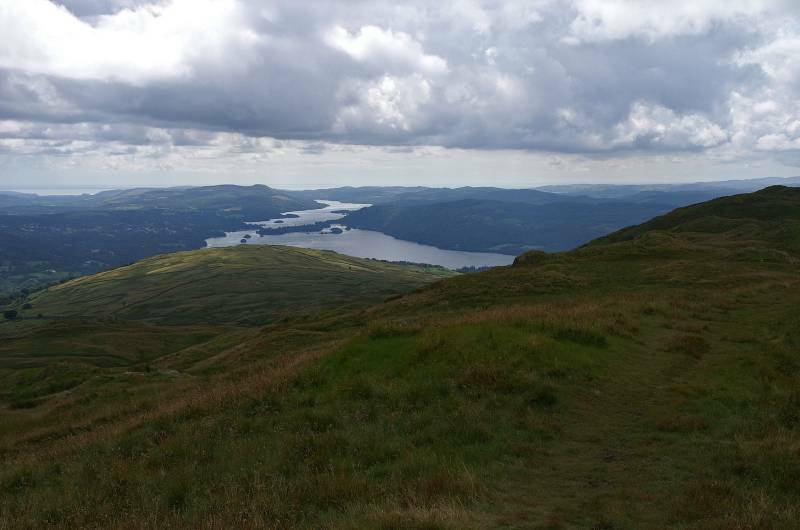 Before starting my descent one final look back over Windermere Lake.